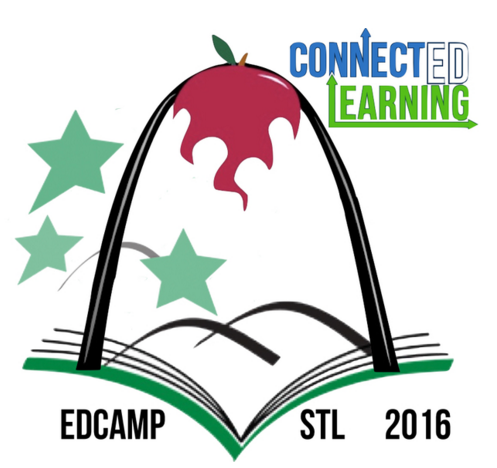 Last week was Edcamp St. Louis. As part of the planning team, I was excited to help bring together over 800 educators from all over Missouri and Illinois to participant in a free day of learning. And even better is that this year Edcamp took place at the high school where I teach. The Edcamp movement started about five years ago and it quickly gained traction among educators, because it was the kind of professional development that’s been missing for so long. In the modern era, what teachers need most is not more prescribed learning from their administrators but rather more opportunities to share and learn from each other. Edcamp is an unconference that allows teachers to do just that. The day’s learning develops when all the participants arrive and sign up for a session that morning. It means there is always a variety of topics from which teachers can choose to attend. But the most important thing to remember at any Edcamp is the “rule of two feet.” That means if you attend a session and it’s not what you want, you can walk out and go find a new session to attend. All of this defies what teachers had done for professional development in the past, but in a very good way. In addition to the many sessions at Edcampstl this year, we also offered a makerspace, a Breakout Edu room, and two on-site field trips to the nearby landfill and power plant. It was a truly interactive and engaging learning experience for all teachers who attended. Even though I was helping out with the logistics of the event, I managed to walk into a few sessions and heard awesome conversations on using Twitter in the classroom, being an instructional coach, using Google tools, and I even got to meet other foreign language teachers who shared great ideas from their classrooms that inspired my teaching. All of this is what makes Edcamp such a meaningful form of professional development. My school has now tried to implement mini-edcamp style PD and with success. It’s nice that schools are giving control of the learning back to the teachers who need it, because it’s the modern classroom there are a lot of ideas to share. I think the Edcamp movement put pressure on a failing model of professional development and gave back teachers their inspiration for what they love. That’s why I’m proud to be a part of the Edcamp planning team and am happy to say another year of Edcamp in St. Louis is in the books!